Nice work! 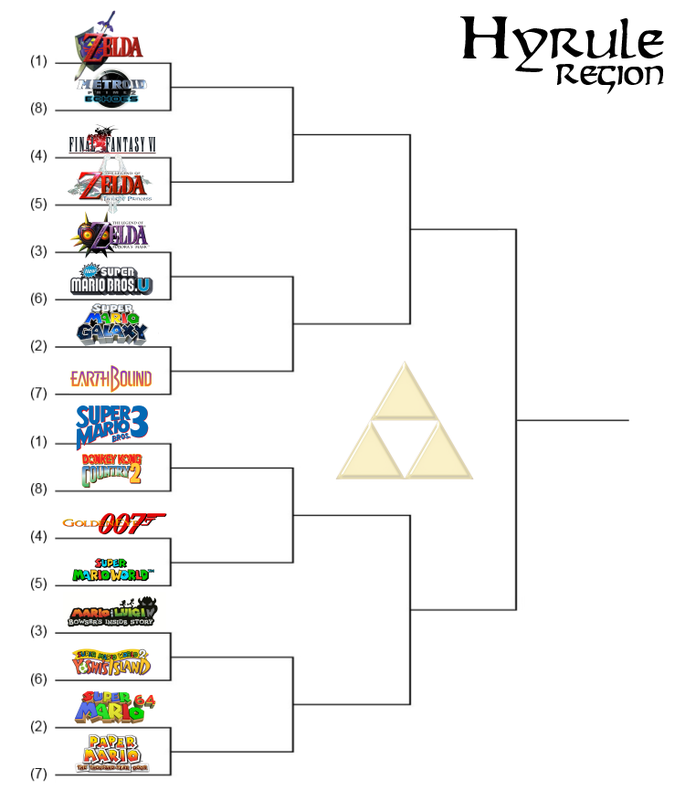 My skills should even be good enough to edit them as the different games advance. I was wondering when something like this was gonna happen! Looks good so far. Frick on a stick with a brick! Logos look great, nice work. I wouldn't expect any less of you either, going to bat for just about anything that I disgree with. 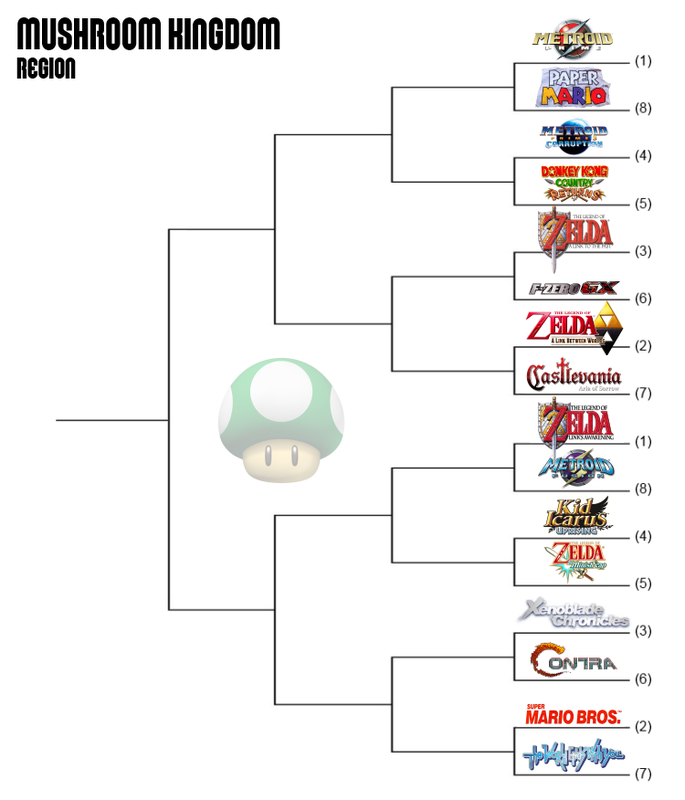 "If you want to live in the past"-- this ENTIRE BRACKET is FUELED BY NOSTALGIA. This entire SITE is here because of the NES from yeeeears ago. Whats with you? Believe it or not I don't form my opinions around what you may or may not agree with. Get over yourself. Is this single elimination or double? Some interesting match-ups. 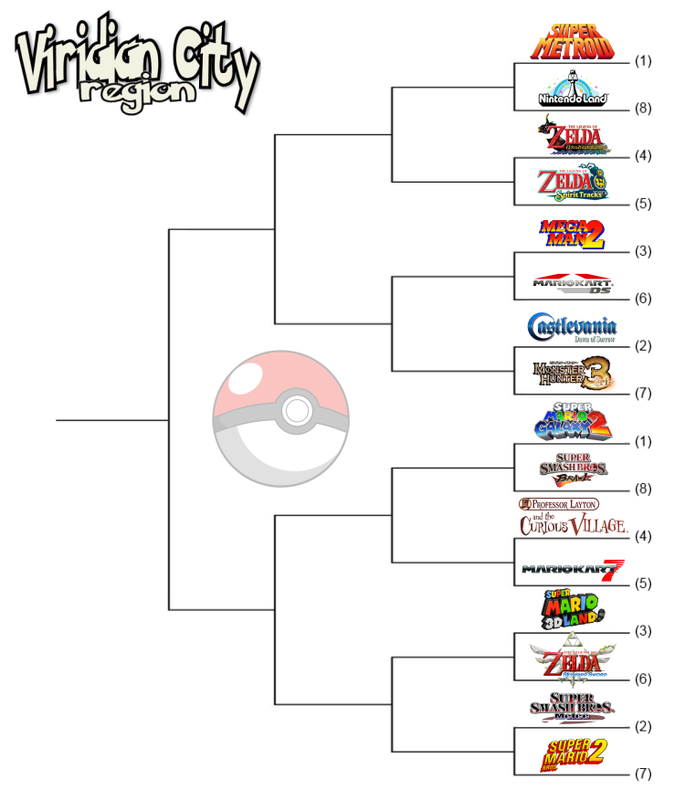 Brawl vs. Galaxy 2, and Pokemon vs. Banjo should be tight races. On that note, what's the tie policy? Again I ask, "are we voting for the game which is BETTER or the one we LIKE MORE?" My heart lies with Final Fantasy III. I am surprised seeing as you typically don't play handhelds. Or is there another version than the DS one in NA? The SNES game is called Final Fantasy III. It was the only Final Fantasy III in the States until a few years ago. I get it, ha ha; should we call it Super Mario USA, too? "Real" Super Mario Bros. 2 is in Japan. That reminds me, I need to get irrationally angry at Jargon for putting Lylat Wars down as 'Starfox 64'. Good point. 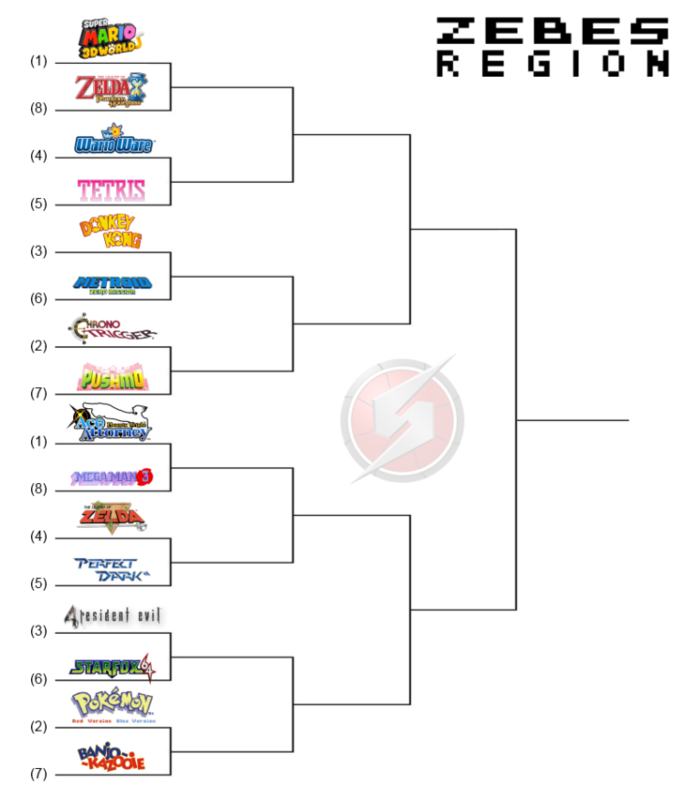 Jargon, can you make it Star Fox 64 / Lylat Wars please? EDIT- I'm not "mad" at Jargon, I simply said that its known as Final Fantasy III on the SNES, which is the section its in. If you tell Unknowing Grandmother to go to the store and buy "Final Fantasy VI on SNES" for you, she's going to come back empty handed. I understand that there is a DS game called Final Fantasy III that barely anyone talks about, and it wasn't good enough to make it to North America way back when. Heck, they skipped it in favor of Final Fantasy II ("IV") which can't hold a candle to the III that I grew up with. That says a lot about the Japanese III. You might not be mad at Jargon, but you're mad at something. This thread isn't for your grandmother. It's for a pile of modern gamers in the year 2014 from all over the world (i.e. not just NA) who all know full damn well that this game is actually Final Fantasy VI, regardless of the misleading label Square decided to slap on it for blissfully ignorant audiences 20 years ago. To actually get annoyed at that is just utterly ridiculous. What labels aren't misleading then? Fortune Street vs. Boom Street? Earthbound vs. Mother 2? Lost Levels vs. Super Mario Bros. 2? Super Mario Bros. 2 vs. Super Mario USA? Resident Evil vs. Biohazard? I haven't even dipped into foreign language stuff. If Final Fantasy III (the SNES game) doesn't fly, none of these should either. Can't pick and choose, brother. You'll note no-one seems to gets mad at any of those. It's amazing how easy most people accept that there are alternate names for stuff. Especially when one of the names might otherwise lead to the confusion so aptly demonstrated by Stephen's post.